The only way Chris and some of her classmate friends can spend a week at the Sandy Cove beach is if Lucy and Viv act as chaperones. The girls agree, but Lucy and Viv get irked when they overhear the kids call them old fogies. They try to fit in with the youth by talking and acting like "groovy" teenagers. Lucy and Viv even offer a rendition of the rock tune "Big Girls Don't Cry." All of this succeeds in making them unbearable pests that the kids try to get rid of them. 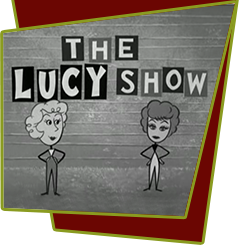 Special Notes: Lucy's daughter, Lucie Arnaz plays one of the teenagers in this episode.